Can a Catholic vote in favour of abortion? Some Catholics might believe the answer is yes, based on a balance of considerations. In fact, no Catholic with a proper understanding of what their Church teaches should vote in favour of abortion. This would be true of any law that permits the direct and intentional killing of an innocent human life, but the abortion law being proposed by the Government is particularly bad. It goes far beyond the hard cases. In the great majority of instances, under the proposed law, healthy women will be aborting healthy babies. Almost no abortions will be refused. But what about conscience? Doesn’t the Church teach that one should vote with one’s conscience? Yes, it teaches that one should follow one’s conscience. But this presupposes that one has an informed conscience, that one has made the effort to honestly find out the truth. For every Catholic, this includes knowing the Church’s teaching accurately. Most importantly, a Catholic should know the reasons, according to the Church, why abortion is wrong, and what abortion actually is (these two things being closely connected). Direct abortion is wrong because it is an objective injustice, it is unfair, it is the destruction of innocent human life, it is against the God of life. It is not merely a failure to conform to the teachings of the Church; nor is it a specifically Catholic matter that concerns only Catholics; nor is it a purely personal matter that concerns only one’s own private choices and actions. No, the Church’s teaching against abortion is a teaching about justice and equal human rights. The Second Vatican Council spoke of abortion as an “unspeakable crime” and as “a supreme dishonour to the Creator”. Pope Francis recently wrote: “Our defence of the innocent unborn… needs to be clear, firm and passionate, for at stake is the dignity of a human life, which is always sacred and demands love for each person, regardless of his or her stage of development.” Abortion is not exclusively a matter of Catholic faith, but also a complementary matter of right reason. There are very sound arguments against abortion that the Catholic can share with those of other religious faiths or of secular convictions, such as the ethical principal that one should never even target innocent human beings, let alone directly kill them, as such an act could never be fair or just. It is only reasonable to think that true medicine will ‘do no harm’; cure instead of kill. It is perfectly fair to expect that laws will be just laws and will protect the innocent, rather than opening them up to attack. What about Catholic politicians? In America, the late Mario Cuomo, former governor of New York, famously formulated the principle, “personally opposed, but”. What he meant was that while he was personally opposed to abortion as a Catholic, he would not stand in the way of someone with a different view. Therefore, he backed legalised abortion. This position is incompatible with Catholic faith, if not actually incoherent in itself. Ending the life of another human being is not a private matter. Among other things, the law exists to protect us from harm, and the ultimate harm is the deliberate ending of human lives. Nor is it a matter of private opinion whether the baby in the womb is a human being. It is a human being. Science has shown this, and common sense knows it. It is simply not possible for two human beings to conceive anything other than another human being. Because it is not a matter of private opinion, a legislator is just as bound to protect the life of the unborn child as they are to protect the life of every other member of the human family. The unborn child is one of us. You are not exercising a private opinion when you vote to remove the protection of the law from the unborn child. You are making a decision that has the utmost consequences. You are saying it is permissible to kill a particular category of human life under certain circumstances. There is nothing private about that. For a Catholic to have an informed conscience is to be focused on what is really at stake in the vote in this referendum. It is a choice of whether to enable widespread abortion by voting Yes, or to block it by voting No. It’s really that simple. Voters should not be distracted by secondary considerations. 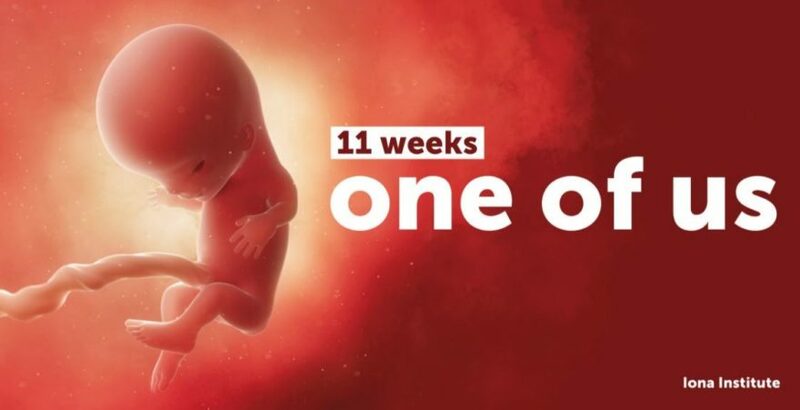 We need to keep our attention on the fact this is about abortion and keep in mind what is involved in abortion: the unborn baby is killed every time. Catholic faith concerns itself not only with personal and private beliefs and practices, but also with the common good, insofar as each one of us understands this to the best of our ability. Catholics see faith and reason as working together in this regard, and this is especially clear in the case of voting against abortion. For a Catholic to vote to enable abortion provision would be to act against his or her Catholic faith, as well against right reason. Dr John Murray is the chairperson of the board of directors of the Iona Institute, and is a lecturer in theology in DCU. This article is reprinted with permission from the Irish Independent.